Halloween Rite to Reign Scavenger Hunt! It’s my favourite time of year…Fall! I mean, what’s NOT to love? The warm colors, the crisp Autumn air, the scent of pumpkins and cinnamon and spice. Don’t even get e started on comfy boots and knitted scarves. I could go on for days. 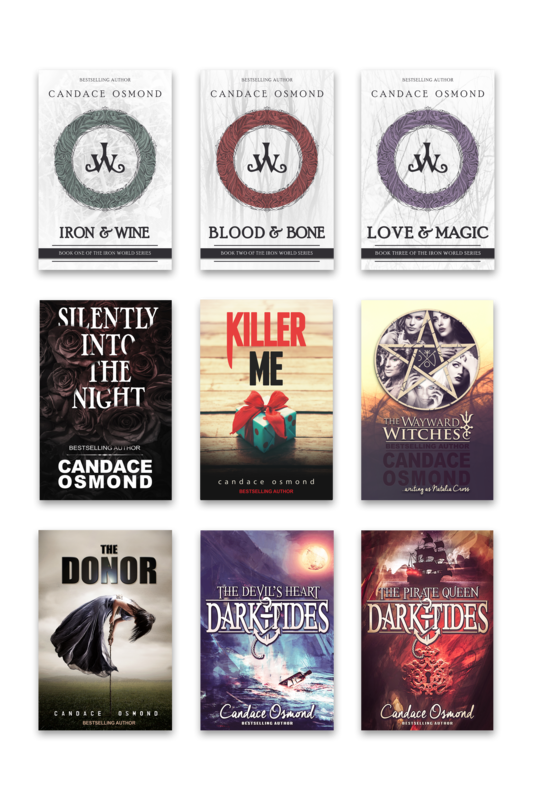 This year I’ve teamed up with a whole pack of authors to create a collection of witchy stories. Rite to Reign is an anthology packed with 25 full length books, each one with a central theme of witches and sorcerers. My contribution to the collection is Reigning Magicks, co-authored with my writer bestie JJ King and follows the tale of Princess Ashlynn, heir to the Irish Clan Kavanaugh throne. It starts out set in the 1700s, with a backdrop of Irish and Scottish lore, but we’ve created a hidden realm where these characters exist outside of the normal world. Kind of like Harry Potter but with epic witches and fiery feuds between clans. In order to maintain a shaky peace treaty, Conal Kavanaugh promises his oldest daughter’s hand in marriage to the rival Scottish clan. But Ashlynn will have nothing of it. Desperate, she performs an ancient spell to bring peace to her people without having to marry the Laird Bricagos. But, of course, the spell goes awry, and Ashlynn is sent to the future where she stumbles into the hands of a gypsy prince and warlock, Cian. Together, they figure out what became of her people and search for a way to send Ashlynn back, but find themselves drawn to one another with each passing minute. Could it be the spell working its magic? Or maybe the only way to bring peace to her people was to remove Princess Ashlynn from the equation altogether. But where does that leave her? Lost and stranded in the future where rival clans are still fighting for power, only this time…her heart is on the line. Preorder your copy of Rite to Reign where you will exclusively find our story Reigning Magicks! It’s on sale right now for just $0.99! Reserve yours here! Now, let’s get to the real reason why you’re here. The scavenger hunt! I’m giving away this super cute witchy ring to one lucky winner! All you have to do is fill out the form below and you’ll be entered to win! It’s open to US and Canadian residents. For a map of each stop on the hunt and to win more prizes, click here! And, to keep the fun Halloween scavenger hunt going, click here to visit the next author’s giveaway! Good luck and Happy Halloween!